Rotating artwork by local artists. Artists present. 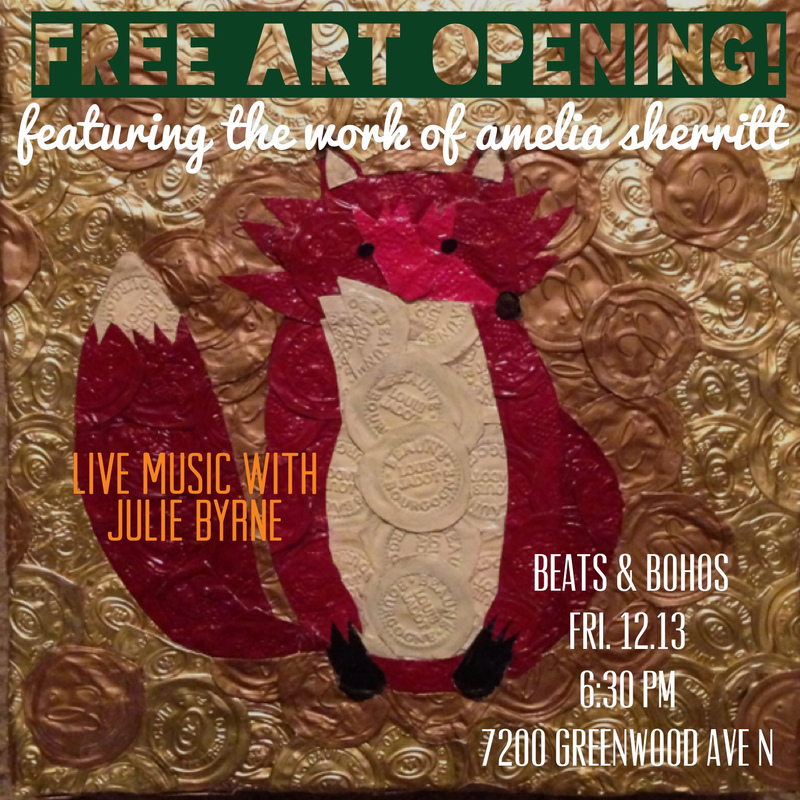 Art by Amelia Sherritt. Artist present. Presenting special guest artists creating original and limited edition ornaments (ltd. ed. 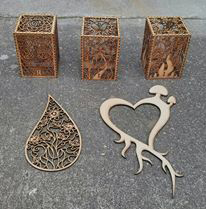 pieces are very limited, only a couple of each) & small sculptures for the holiday gift giving season including work from CASH, Carlos Aguilar, Braden Duncan, Kate Protage, Sensei23, Kellie Talbot and John Osgood. Plus, an encore opening of Spectral Menagerie featuring Seattle artists Joe Vollan and Megon Shore exploring the afterworld of the animal kingdom in their collaborative exhibition. Ghost animals, deaths-head moths and nodding calla lilies appear in their paintings, charting a course through the afterlife that is by turns eerie, haunting and beautiful. Artists present. Reggie Miles–PNW FOLKLORE SOCIETY COFFEE HOUSE CONCERT 7:30pm. Free. It’s that time of year! Join us for Deck The Walls. Art makes a great gift and we will have a ton of art most priced at $100 or less. Come down, hang out and find something awesome. Featured artists include Alexandria Sandlin, Artifakt Ripley, Christopher J. Olson, Chani Murat and Xavier Lopez Jr. Artists present. 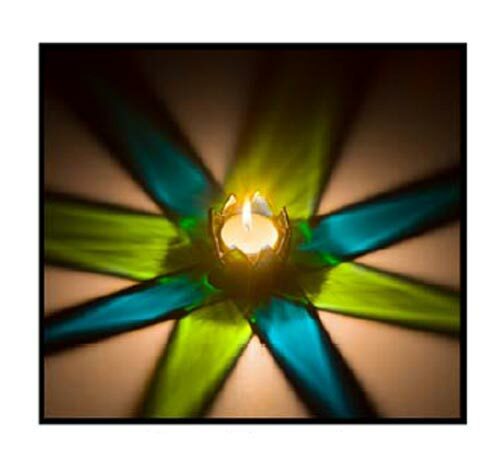 Glass artist Michelle Fokos will be showing and selling her Washington made LotusGlows candle holders, jewelry and art. As well the students of Illumination Learning will have on display their Crayon Art on Canvas. Artists present. Black and white photography, photo juxtapositions and ceramic sculptures and chalices by Joel Severson. Artist present. This month we have Ben Ireland as Benetron with his show entitled “Don’t Believe in Superstition”. 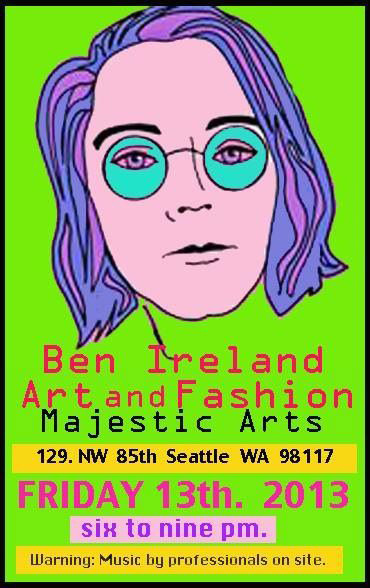 Visual art, fashion show, live music. Artist present. Photography and mixed media collage by Jason Lipczynski (aka Mortimur K). Artist present. Eclectic artwork by Joseph Brooks. Art Axes by Doug Keith. Artist present. 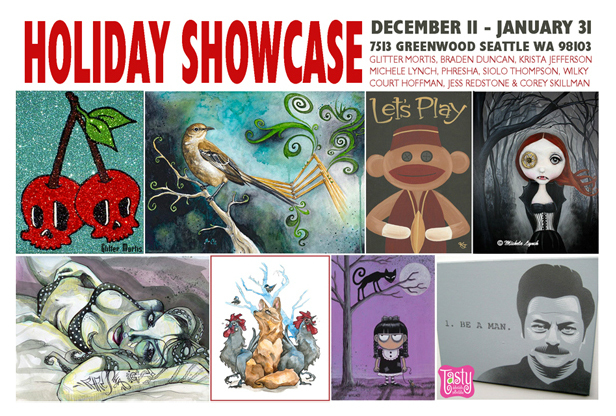 Join Tasty for their FINAL Holiday ART Showcase! The retail storefront, owned by Sheri Hauser & Sean Wilkinson will be closing January 31, 2014. Before they say goodbye, they filled their 1,000 sq ft shop with over 100 original paintings and handmade treasures from 80+ local artists and designers. Expect to see wall art from the following: Braden Duncan, Corey Skillman, Court Hoffman, David VonDerLinn, Deviant Decor, Elizabeth Desiree, Jen Hardwick, Jess Redstone, Jesse Link, Jody Joldersma, Justin Hillgrove, Krista Jefferson, Michele Lynch, Phresha, Sarah Chambers, Siolo Thompson and Wilky! Plus, don’t forget to cruise our unique collections of handmade ornaments, like these here made by Michele Lynch. Artists present. 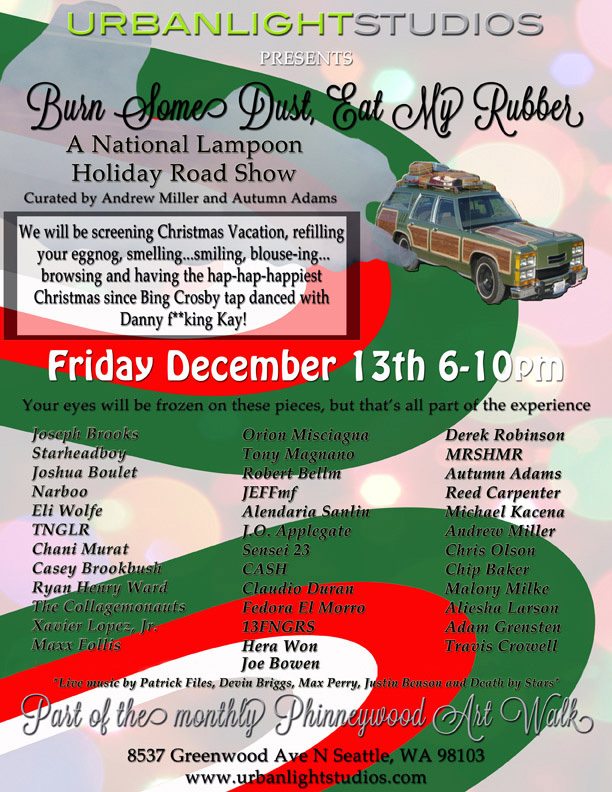 “Burn Some Dust, Eat My Rubber!” artwork inspired by National Lampoon’s Christmas Vacation featuring over 35 Seattle contemporary artists. Stop in for some eggnog and holiday cheer! Artists present. Comics-inspired illustration and paintings by Tom Dougherty, Scott Faulkner, Marc Palm, Stevie Van Bronkhorst and Dalton Webb. Artists present. *Venues offering artwalk discounts or specials. This entry was posted in Uncategorized and tagged Greenwood Phinney Art Walk by artupphinneywood. Bookmark the permalink.